Craving for some samgyupsal or Korean BBQ in Makati but prefer to do it ala carte rather than unlimited? Well, Dong Won Garden is a nice place for you! It's a restaurant and Korean store in one, so you'll really get the hang of it. Plus, you won't have the pressure to overeat and ruin your diet (unless you deliberately order a lot). Dong Won's interior has this old-fashion appeal that is ironically dreary yet fascinating. It somehow reminds you of houses seen in K-dramas which really adds a level of authenticity to the place. 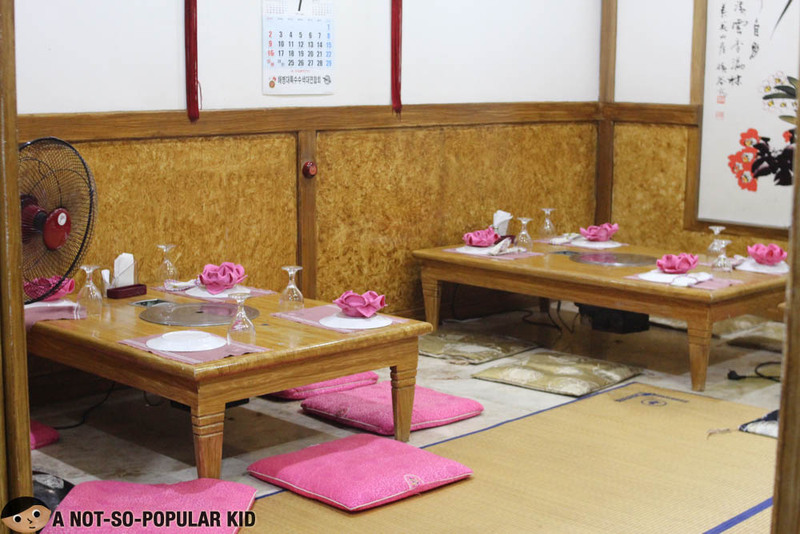 There is also this area where you can dine the Korean way. It was my good friend's birthday that day, and she decided to celebrate it in Dong Won. Everybody cooked up a small surprise by having a birthday banner inside. We also provided cake for you to make a wish from. Thanks once again Anna! 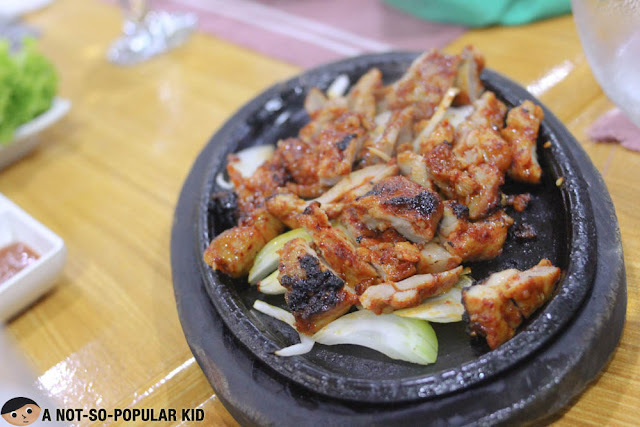 I personally am not a fan of Korean cuisine in general, but I honestly love the samgyupsal and all the Korean grillables -- this is a form of comfort food for me, and perhaps for others as well. 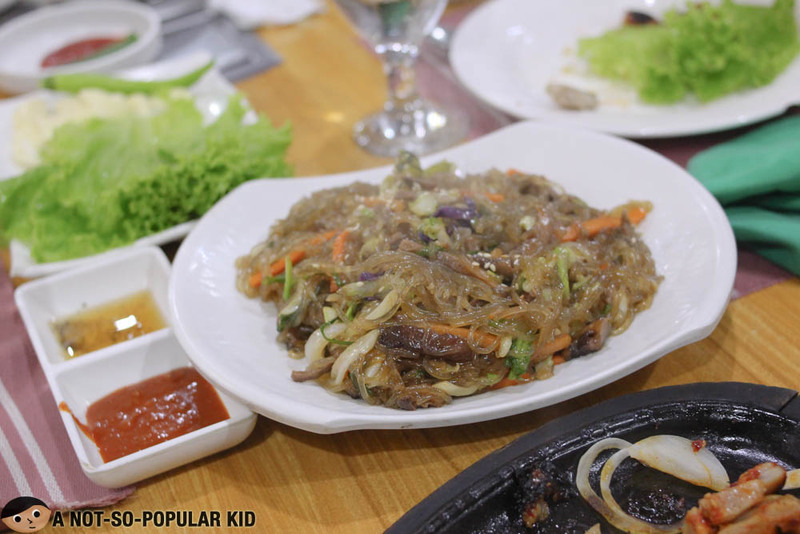 There is a great variety of Korean dishes to choose from catering to those who are not much into the cuisine (i.e. me) and those who are really into it. 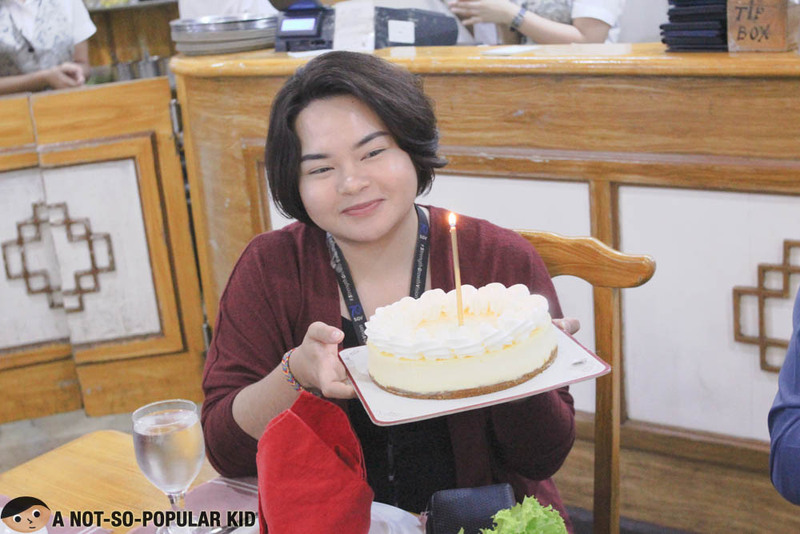 I was not able to take note of the prices of the dishes, since this was a treat from the celebrant, and I also was not able to snap photos of everything that was served. 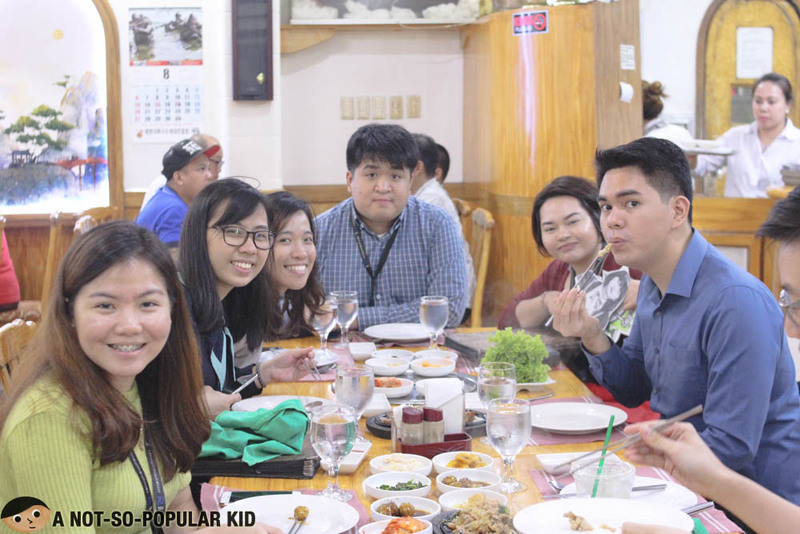 Uhm, let's just say that I got pre-occupied with the food. The dishes here in Dong Won are generally small in serving size. It may be due to the plating, but it really gave us an impression that dishes are pricier than they should be. However, this is merely an impression. When it comes to quality, the food we had did not fall short of goodness. In fact, I appreciated what we had. 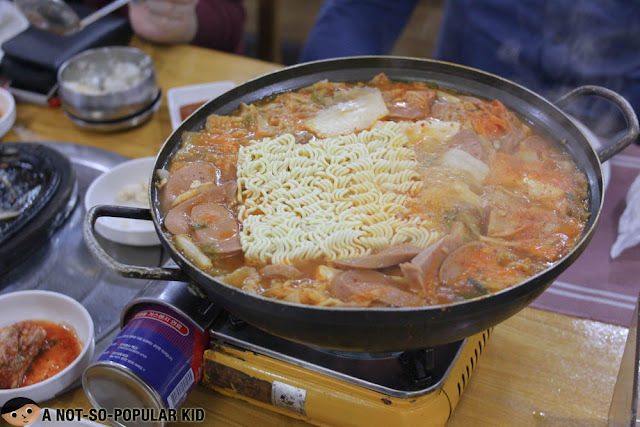 This spicy noodles serve about 8 people, it certainly was a star with the delicious spam and sausages incorporated in the dish. For those who like something hot, you should give this a try! Here's a photo of my friends who are celebrating with Anna! It was a fantastic day indeed. 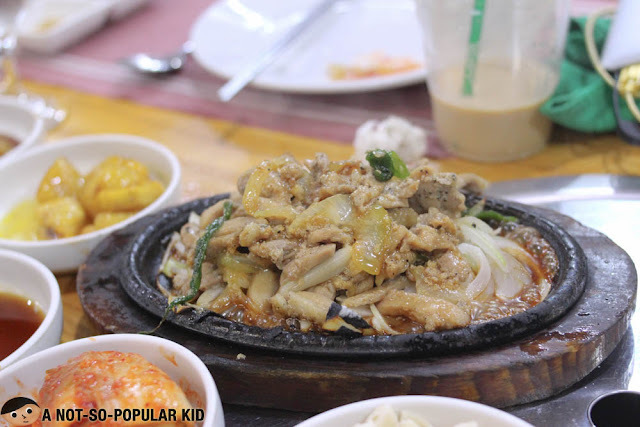 Dong Won may not be a restaurant that stands out, but it's really a decent place to satisfy your cravings. 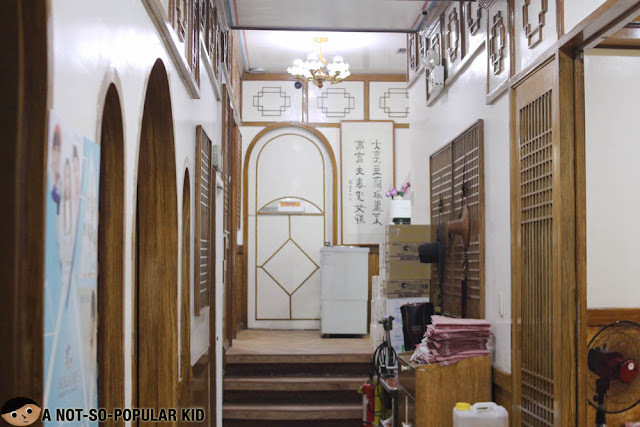 If you also want to feel the odd yet intriguing authenticity of an old-fashioned Korean-inspired interior, you should definitely check this place out. Again, if you are very hungry, then I suggest you opt for those that offer unlimited samgyupsal such as Matgalne.